Sometimes the simplest things are hard to beat, like a perfectly grilled hamburger. But simplicity involves good ingredients and good technique. First, it is essential to select the right beef. Bob Stone, a friend, butcher and barbecue buddy, says it's best to buy ground meat from a specified cut, like sirloin or chuck, instead of the generic "ground beef." The latter is not necessarily bad, but the quality will vary, since ground beef can come from any part of the animal. When I can afford it, I buy ground sirloin; other times I buy ground chuck. I prefer 80 percent lean burgers for grilling. The fat cooks out and makes for a juicy burger. 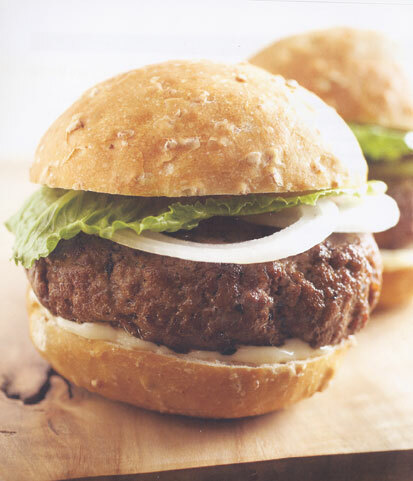 The second secret to perfect burgers is to use medium- to medium-high heat, so they don't burn. I have savored charcoal-grilled burgers since my childhood in Oklahoma City, where I lived only a block and a half from the Split-T, a longtime burger joint that cooks its burgers over a charcoal-fired flame. Here's my rendition of the classic. Fill a charcoal chimney with briquettes, set the chimney on the bottom grill grate and light. When the coals are ready, dump them into the bottom of your grill and spread evenly. For a gas grill, turn to medium. Add salt and pepper to the ground chuck and mix well with your hands. Shape the meat into 4 patties of equal size. Grill the burgers for 7 minutes on each side. Spread mayonnaise on the inside of each bun and top with a grilled burger. Garnish with the onion slices and enjoy. Once you have your grill of choice, it's time to make sure you have all the essential tools. • Sharp knives: A sharp standard butcher knife is essential for trimming or slicing. • Cutting boards: My preference is for boards made of hardwood or bamboo. • Long-handled tongs: Stainless-steel spring-loaded tongs work best. • Long-handled spatula: A wide, long-handled spatula is especially handy for turning burgers, breads and sliced vegetables. • Welder's gloves: Wear them when dumping hot coals from the charcoal chimney to your bottom grate, when brushing a grill over hot coals and at all other times when your hands are near fire. • Charcoal chimney (for charcoal grills): This is the fire-starting method of choice for most experienced cooks. 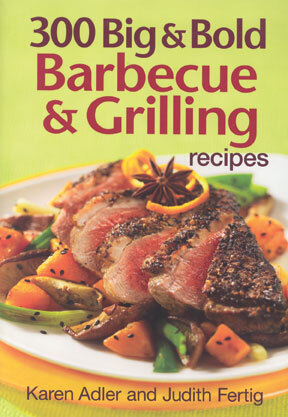 • Perforated metal grill toppers: When you're grilling foods small enough to slip through the grates, use a grill topper. Big flavor is what this recipe is all about. Make up a batch of Bloody Marys or margaritas and kick back and enjoy. Prepare the slaw: In a large bowl, combine jalapeños, red cabbage slaw and green cabbage slaw. In a small bowl, whisk together oil, vinegar, sugar, mustard, salt, celery seeds and chipotle pepper. Pour over slaw and toss to coat. Set aside. Prepare a hot fire in your grill. Set grill rack directly over the fire. Rinse shrimp under cold running water and pat dry. Place shrimp in a large glass bowl, toss with olive oil and lightly season with salt and black pepper. Working in two batches, place shrimp on grill rack and grill for 6 to 8 minutes, turning once, until shrimp are pink and opaque. Keep warm. Spoon slaw onto each plate and arrange shrimp on top. Serve with salsa on the side. In a bowl, combine tomatoes, celery, red pepper, cucumber, red onion, Worcestershire sauce, horseradish, hot pepper sauce, celery salt, black pepper, lime zest and lime juice. Serve immediately or cover and refrigerate for up to 1 day. When eggplant is cooked well on the grill, by that I mean cooked until it is tender, golden, slightly charred and smelling a little smoky, woody and caramelized, it is food for the gods. While hot, sandwich the slices with fresh milky mozzarella cheese and nestle these bundles in seasoned bread, then cook until golden on the barbecue. Forget your manners, just bite through the melting threads of cheese and devour. Dunk eggplant slices in olive oil and cook on a barbecue hot plate until well browned. (This is important — if they aren't cooked through they will taste astringent.) Transfer them to a large plate as they are done, sandwiching two slices of eggplant together with two slices of mozzarella cheese in the middle. Meanwhile, butter 12 slices of bread on one side only. When all eggplant is cooked, scrape barbecue plate as clean as possible and lower heat. Slice tomatoes and dress arugula leaves and basil with a little extra-virgin olive oil, a few squirts of lemon juice, some sea salt and black pepper. Add a little crushed garlic and a dab of Dijon mustard if you like. 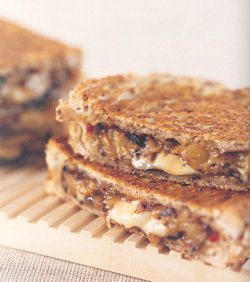 Put half the bread, buttered-side down, on a board and spread with chili jam or chutney. Put the eggplant and mozzarella bundles on the bread, season with salt and pepper, and top with remaining bread, buttered-side up. Cook toasties over medium heat on a barbecue hot plate until bread is golden, then flip over and cook other side. Using a metal spatula or similar, press down on toasties once or twice while cooking. They're delicious as they are, but a few slices of tomato tucked into the sandwiches along with some of the dressed arugula and basil leaves makes a tasty addition. Alternatively, serve tomatoes and leaves separately. Serve hot or hottish, cut into halves or triangles. There may well be extra eggplant bundles — in which case, just butter some more bread! The key to a good rub is balance. This one is mildly spicy, slightly herby and full of flavor without being overpowering. 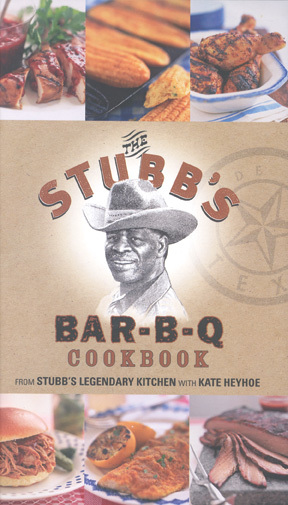 This is the same rub Stubb's Restaurant in Austin uses on their poultry and seafood. In a small bowl, combine the paprika, granulated garlic, cayenne, salt, white pepper, black pepper, thyme and oregano. Rinse the drumsticks and pat them dry with paper towels. Arrange the drumsticks on a baking sheet. 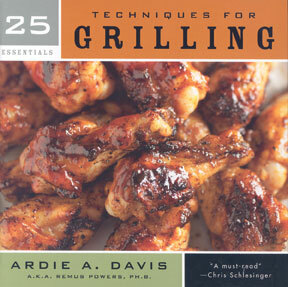 Generously coat the drumsticks on all sides with the rub, patting it in with your fingertips. Let rest for 1 hour. Cook the drumsticks over direct medium-high heat until grill marks appear, about 2 minutes per side, rearranging them if they start to char. Transfer the drumsticks to indirect medium heat. Cover the grill and cook until the juices run clear and the meat is no longer pink, 35 to 45 minutes more. For even cooking, rearrange them as needed, turning once or twice, while they cook. Trim fat from chops. Place chops in a heavy, resealable plastic bag set in a shallow dish. For the brine, in a large bowl, combine water, stout, salt and molasses; stir until salt dissolves. Pour brine over chops; seal bag. Marinate in refrigerator for 8 to 24 hours, turning bag occasionally. Drain chops, discarding brine. Pat chops dry with paper towels. In a small bowl, combine pepper and garlic. Sprinkle pepper mixture evenly over both sides of each chop; rub in with your fingers. 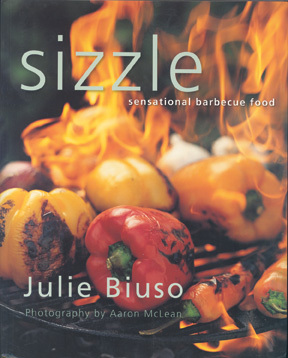 For a charcoal grill, arrange medium-hot coals around a drip pan. Test for medium heat above the pan. Place chops on the grill rack over drip pan. 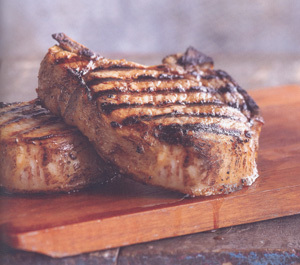 Cover and grill for 30 to 35 minutes or until chops are slightly pink in center and juices run clear (160 degrees), turning once halfway through grilling. For a gas grill, preheat grill. Reduce heat to medium. Adjust for indirect cooking. Place chops on the grill rack over heat. Cover and grill as above. Peanut butter for dessert? A wonderful contrast of flavors and textures, this is one of those recipes we treasure, where the creating is fast and fun and the results are memorable. Blend the peanut butter and corn syrup together in a small bowl. Alternate layers of frozen yogurt, peanut butter and peanuts in the pie crust, beginning with half the softened yogurt, half the peanut butter and half the peanuts. Cover tightly with plastic wrap and freeze for at least 5 hours before serving. Here I make two separate milkshake mixtures and layer them in one glass. Serve them right after you pour them if you want your guests to appreciate the visual effect, since the green and brown parts will start to blend together in a minute or two! Put 1/2 cup of the milk, the mint chocolate chip ice cream and crème de menthe in a blender and blend until just smooth. Pour into a measuring cup. Rinse out the blender and put the remaining 1/2 cup milk, the chocolate ice cream and chocolate syrup in the blender and blend until just smooth. Pour the chocolate milkshake mixture into four 8-ounce glasses and top with the mint milkshake mixture. Garnish with mint leaves and serve immediately. Combine 1 cup blueberries and lemon juice in a medium bowl; mash well and set aside. Sift confectioners' sugar into a heavy medium nonstick skillet. Cook over medium heat until sugar begins to dissolve, stirring occasionally, about 5 minutes. Continue to cook until syrup turns deep golden brown, stirring often, about 5 minutes longer. Whisk in 1 cup cream and the water (mixture will bubble up). Reduce heat to medium-low, cover, and cook until most hard caramel bits dissolve, stirring occasionally, about 20 minutes. Remove from heat. Stir in mashed blueberries; strain into a medium saucepan, pushing berries through. The blueberry mixture can be made 3 days ahead, covered and chilled. To serve, rewarm blueberry sauce over low heat. Beat 3/4 cup cream in a medium bowl to soft peaks. 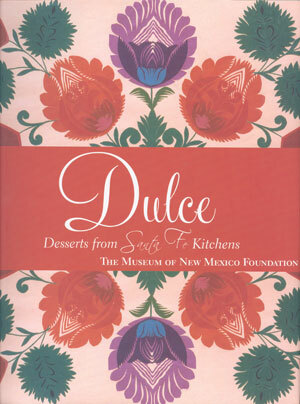 Place 1 scoop each of vanilla ice cream, raspberry sorbet, and strawberry ice cream in each of 6 sundae dishes. Spoon warm blueberry sauce over ice creams. Garnish with remaining fresh blueberries, whipped cream, and pecans. These "patriotic" sundaes with their terrific blueberry caramel sauce are great fun for a Fourth of July party.